Besamandla is proud to announce the appointments of bids with ACSA at the end of 2018. 1000kWp PV Plant full EPC contract. This contract includes the design, supply, installation, testing, commissioning and four year operation and maintenance period of a 1000kWp fixed tilt ground mounted PV system using mono-crystalline photovoltaic modules. Two contracts have been awarded to Besamandla at the East London Airport, namely the 650kWp PV plant and MV main substation switchgear upgrades. 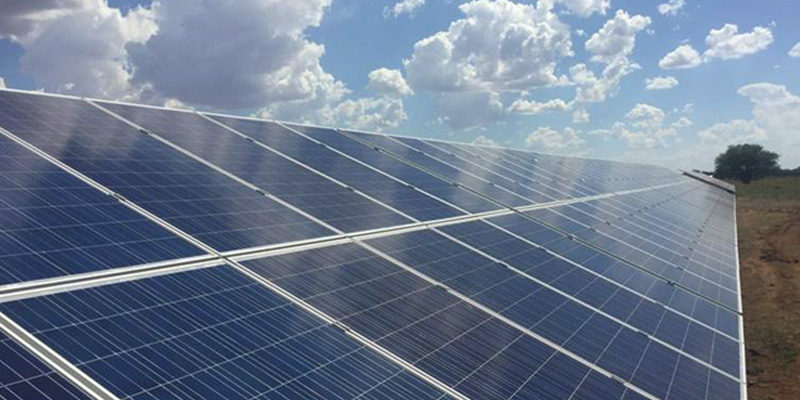 This PV Plant contract includes the design, supply, installation, testing, commissioning and four year operation and maintenance period of a 650kWp fixed tilt ground mounted PV system constructed on the east side of the runway. The PV plants will reduce the demand on the local electricity grids and reduce the electricity consumption of each airport in line with ACSA’s long term sustainability goals. The MV project involves the replacement of several older switchgear units that have reached their end of life. The above three projects will be completed by June 2019.